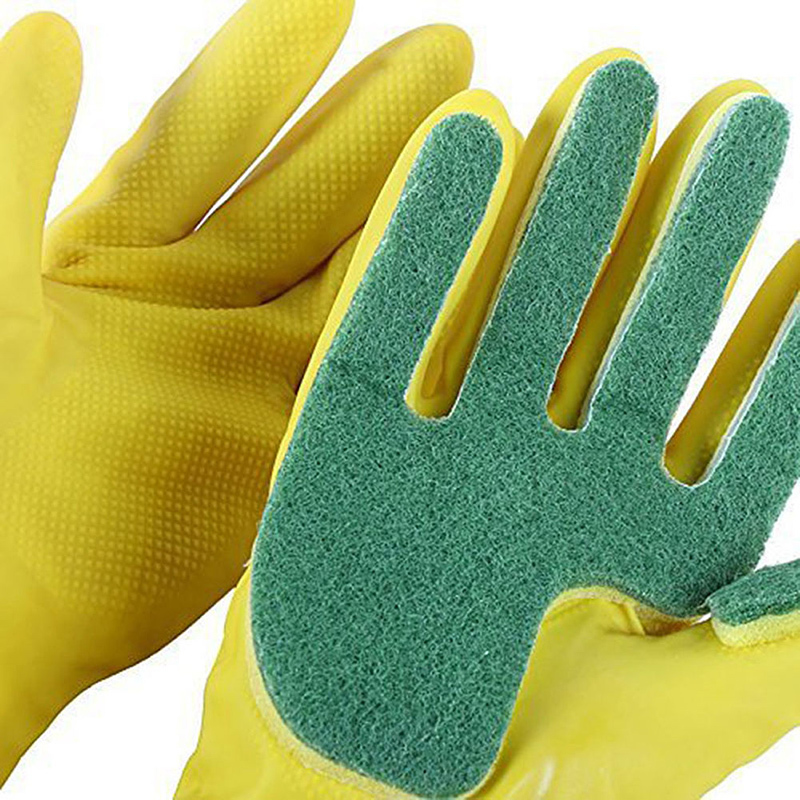 These scrub gloves protect your hands while enabling you to clean with ease! 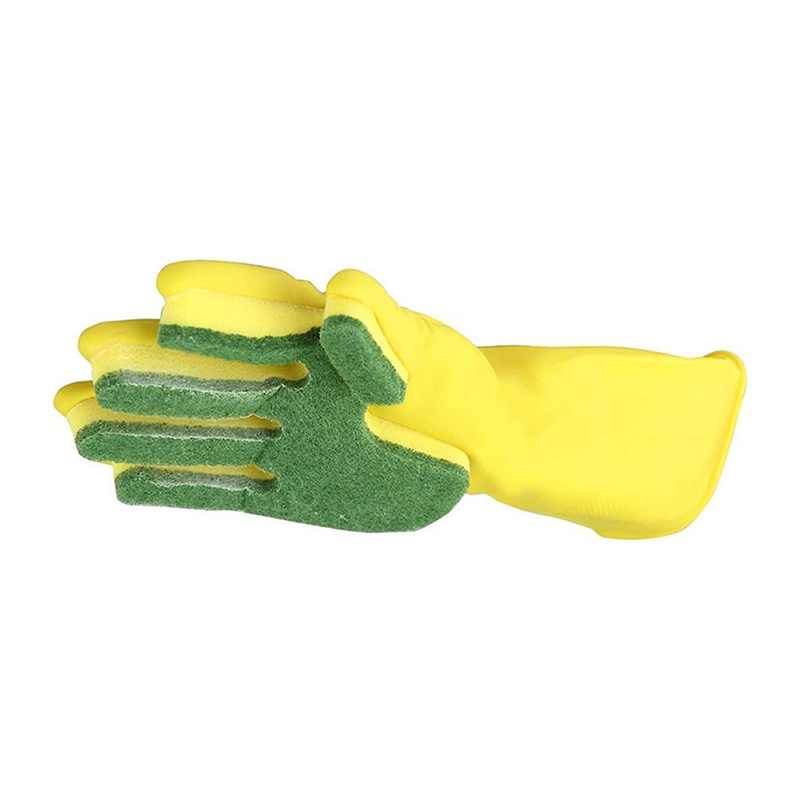 The open finger scrub sponge glove allows you to reach into those nooks and crannies, even the bottom of your glasses can be cleaned with the tip of your fingers! 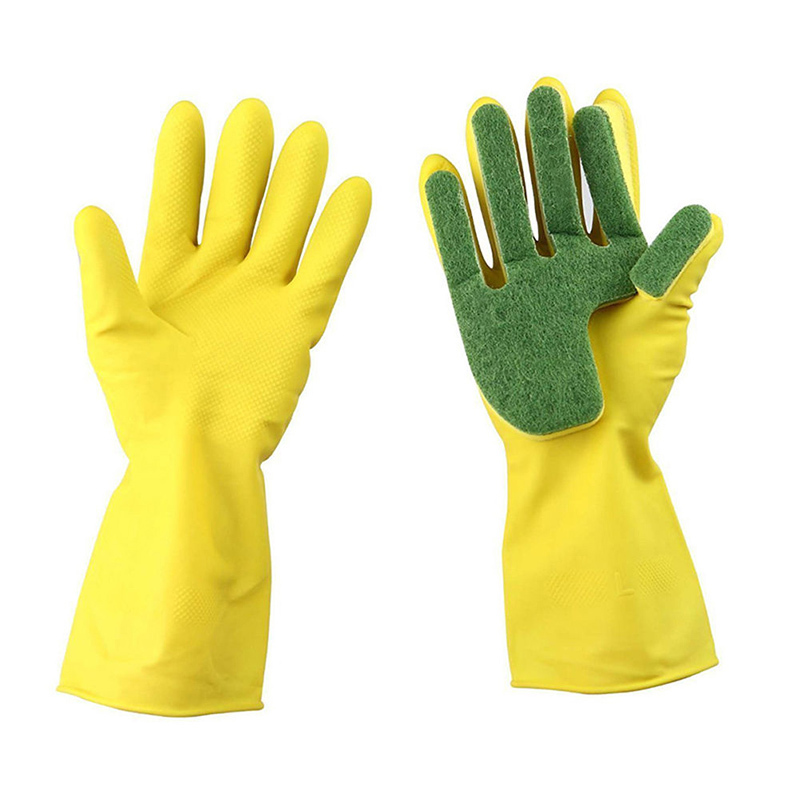 While the closed palm design with its double layer sponge enables to you to wipe down tabletops, cabinets, toilets and stove walls with ease! 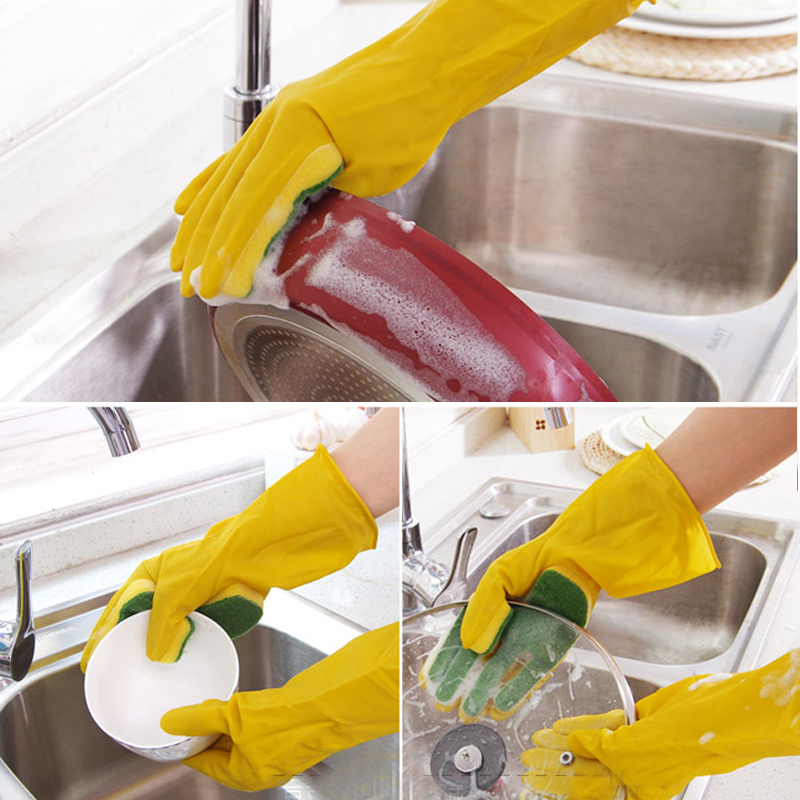 • 2 in 1 cleaning gloves with scrubbing pads enable you to clean with ease! 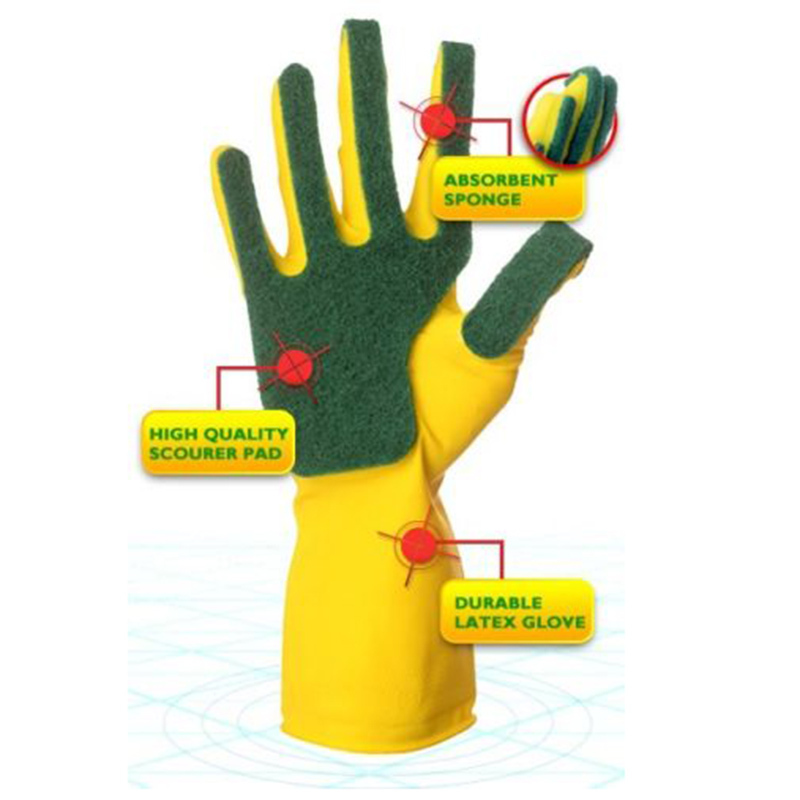 • Scrubbing pad is attached firmly on the right hand glove, with non-slip design on the left hand glove to grab onto dishes. • Remove stubborn stains without scratching your precious cooking utensils and dishware! • Use them in your kitchen, toilet, bathroom, outdoors and more! • Made of latex rubber and soft fiber scouring pads.